But is it only about operating more efficiently? Of course not. The entire point is to better serve clients. 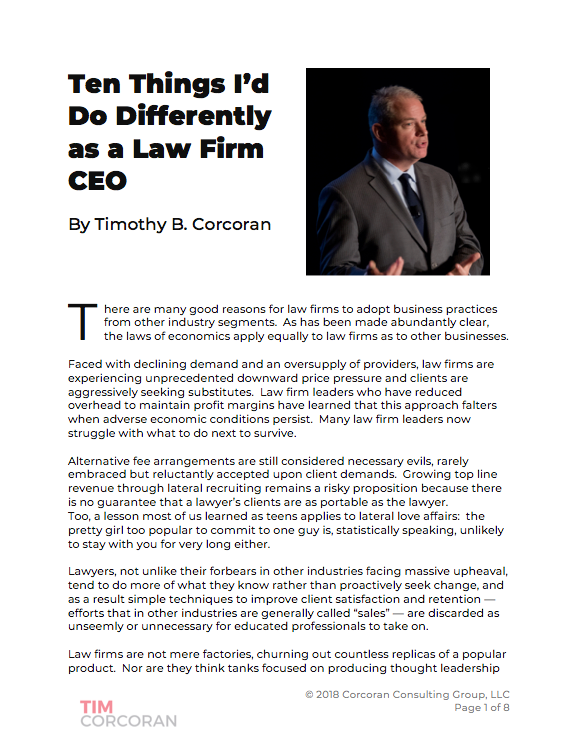 As Callahan points out, “This will also ensure that [the lawyers] concentrate on what they do best; advising clients on business and commercial property law." Nick Blackbourn concludes, "This will in turn assist us to develop the firm, and become even more commercially focused as lawyers for business.” Hear, hear.